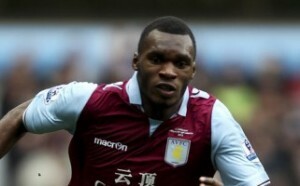 It has been revealed that Aston Villa striker Christian Benteke is keen on a move to Spain. It is said that Atletico Madrid are ready with a £24 million bid for the Belgium international. AS claims that Benteke , despite interest from Tottenham and Arsenal, is keen on moving to Spain and Atletico, particularly after their Champions League qualification. The stumbling block is Atletico’s contract offer falls well short what he can earn by remaining in England.